It seems like one of the new trends in wedding color schemes is cool colors. 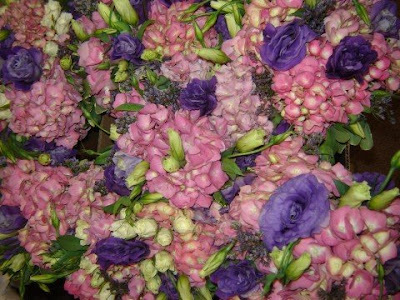 We have seen many different shades of purples and blue lately, so here are just a few ideas of flowers to compliment that look. 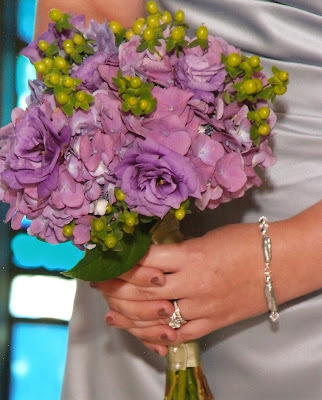 This snapshot we took of a box of bridesmaids’ flowers shows how different shades of purple can be incorporated in the flowers. 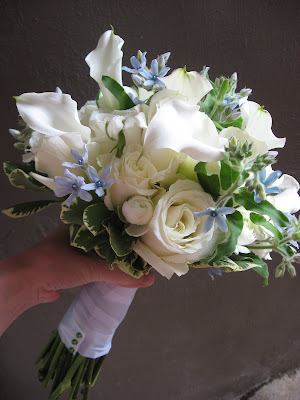 Different shades help to highlight the textures of each individual flower. 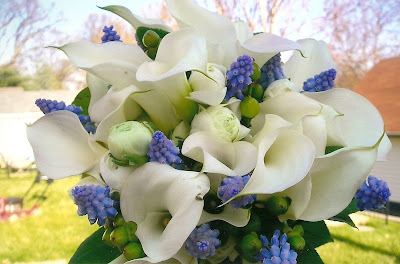 If blue is the cool color accent you are looking for, there are fewer choices of specific types of flowers available. However, don’t let that discourage you. Hydrangea, delphinium, tweedia, muscari, and limonium are just a few blue flowers that may be an option, depending on the time of year. 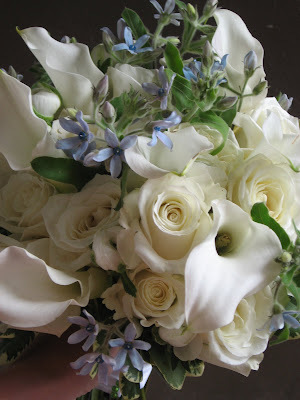 These shots taken at our shop showcase a bridal bouquet of whites accented by blue tweedia. 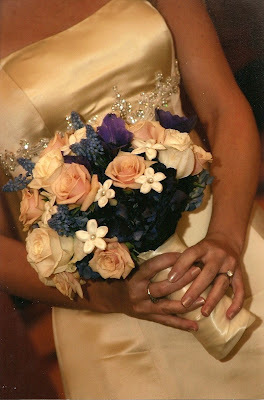 Again, here is an example of little blue touches in a bouquet. The blue in this shot is muscari.